The Naomi Haupert de Neufville Society recognizes those who have provided a gift to the school through their estate plans. 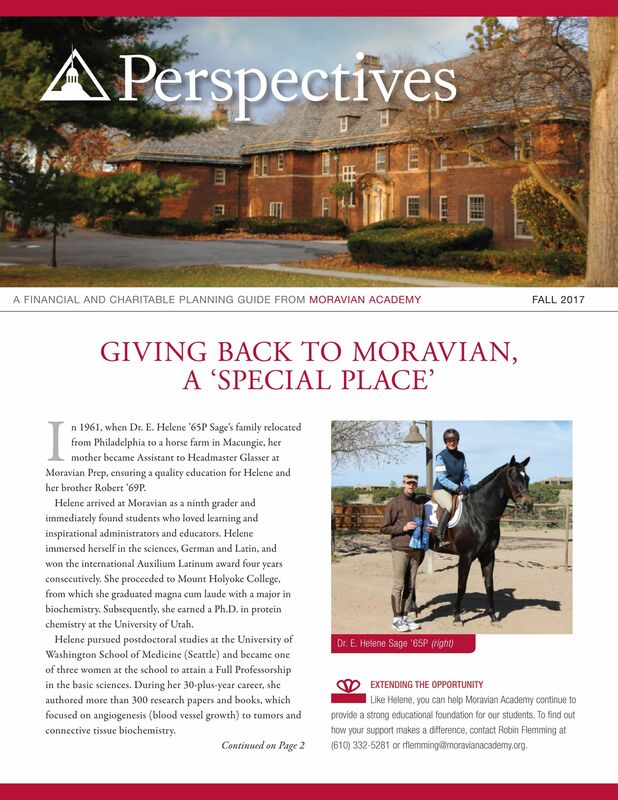 The Society exemplifies the importance of planned gifts for Moravian Academy and expresses our appreciation to those who have a planned gift in support of our mission. The society is named in honor of Naomi Haupert de Neufville Boyer who began her career teaching English, French, and history at Moravian Seminary for Girls in 1936. Miss Haupert became principal of the Seminary in 1940, continuing until 1950. In 1950, she married Dr. Albert de Neufville, a widower who had enrolled his daughter, Mely, in the Seminary two years earlier. Their daughter, Louise, was born in 1951. In 1958, Mrs. de Neufville resumed her career teaching French at Moravian Preparatory School where she taught until 1968. 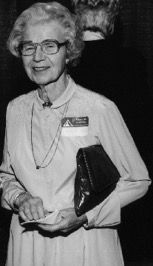 She was a member of the Board of Trustees of Moravian Academy and was named an honorary alumna of the Seminary in 1965. Mely graduated from Moravian Seminary for Girls in 1956 and Louise graduated from Moravian Preparatory in 1969. The de Neufvilles were the first to establish a life income fund with Moravian Academy. Property may be donated outright. An immediate tax deduction is available and capital gains taxes may be avoided. As per the school’s Gift Acceptance Policies, such gifts may only be accepted upon approval of the Academy’s Finance Committee. The easiest way to plan a gift to a charitable organization is through a bequest in your Will. A bequest can be made by adding a codicil to an existing Will or when you create your Will with your estate planning attorney. Consult with your estate planning attorney to create your Will. I give $______ or _______% of the rest, residue and remainder of my estate to Moravian Academy located in Bethlehem, Pennsylvania to be used to create the Jane Doe Endowed Scholarship Fund. This fund will be a permanent endowment and income from the fund, in accordance with the Academy's spending policy, will be used to provide financial aid, based on demonstrated need, for the children of the faculty and staff who wish to attend the Academy."